A recreational diver in Águilas on Spain’s Mediterranean Costa Calida recently spotted a half-buried Roman amphora close to the shore at Playa de las Delicias. It was later identified as a type of pot used to transport oil between 110 and 150 AD. “The sea conditions are very different this year, which has moved a lot of sand,” says diving instructor Javi Espinosa of the local Estela Diving Centre. Roman anchors, fishing gear, containers and coins have been found at the same dive location, which lay on a trading route when the Romans occupied the Iberian Peninsula. 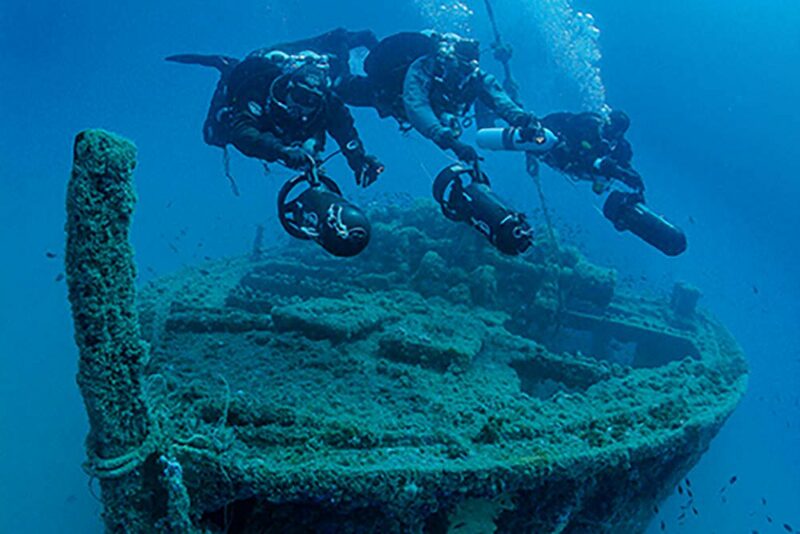 Cabo de Palos – Islas Hormigas and Isla Grosa or Cartagena, La Azohía & Cabo Tiñoso, Mazarrón and Águilas are local areas that offer reef, cave and wreck-diving plus the possibility of an archaeological find. Flights from the UK via Murcia-San Javier and Alicante airport take only a couple of hours, says Murcia’s tourist board, which can offer advice to visitors seeking accommodation and dive-centres.